Explore the uncharted! Tame the Land! Rule Your Own Nation! 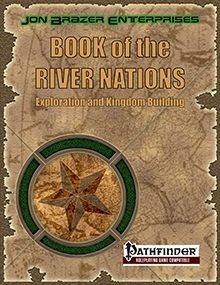 Book of the River Nations: Exploration and Kingdom Building gives you the rules you need to explore lands unknown and then to rule those lands. 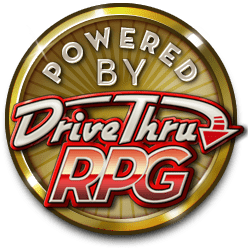 These rules are expanded to include easy to read flow charts for exploration and kingdom turns, new buildings to include in your cities, more than double the events, and expanded Exploration, City, and Kingdom Sheets. Rule your Nation and Make your Mark on the World!